Disclaimer: The product was provided by the manufacturer for this evaluation free of charge. No other compensation (monetary or material), discount or rebate was given and my opinion was not influenced by the manufacturer. This review is my impartial, personal and honest opinion. 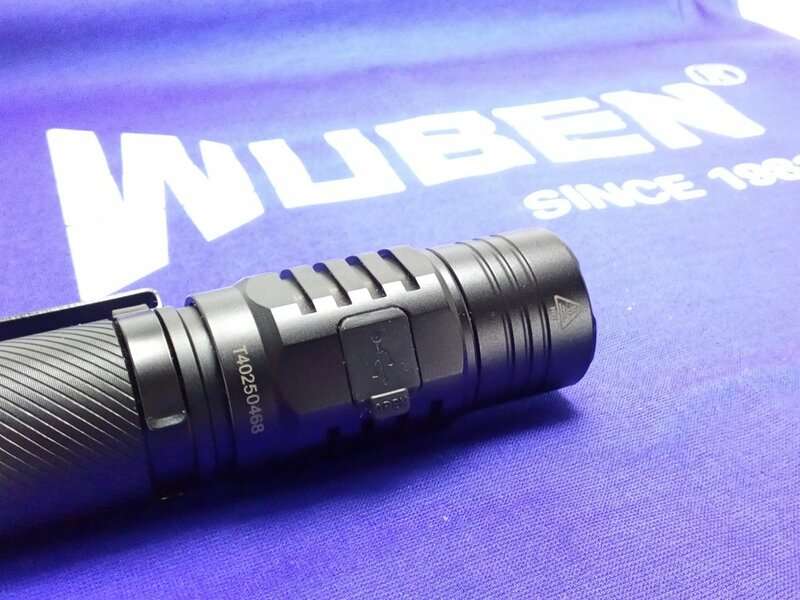 With the TO40R Wuben are announcing another model from their TO-series that comes with a Cree XPL2 emitter and a single, rechargeable 18650 battery. 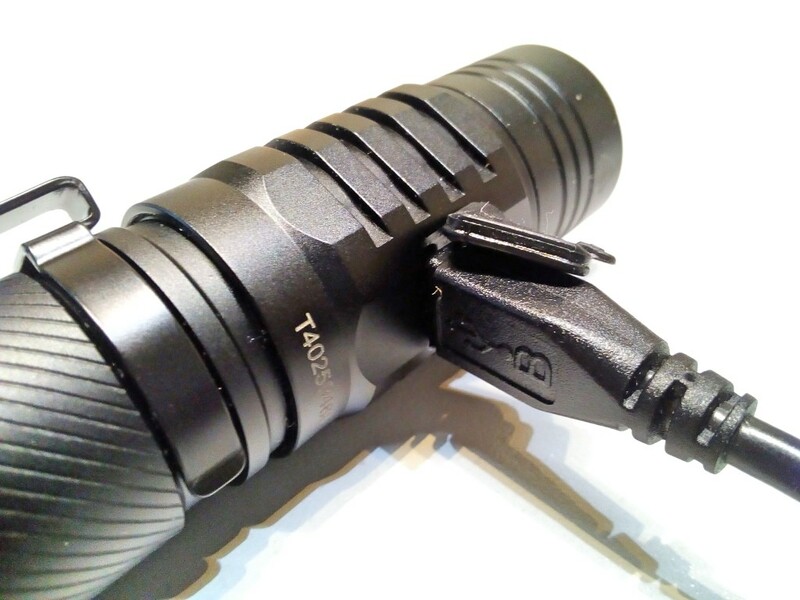 The flashlight has an integrated battery charger and can be charged with a standard USB cable. 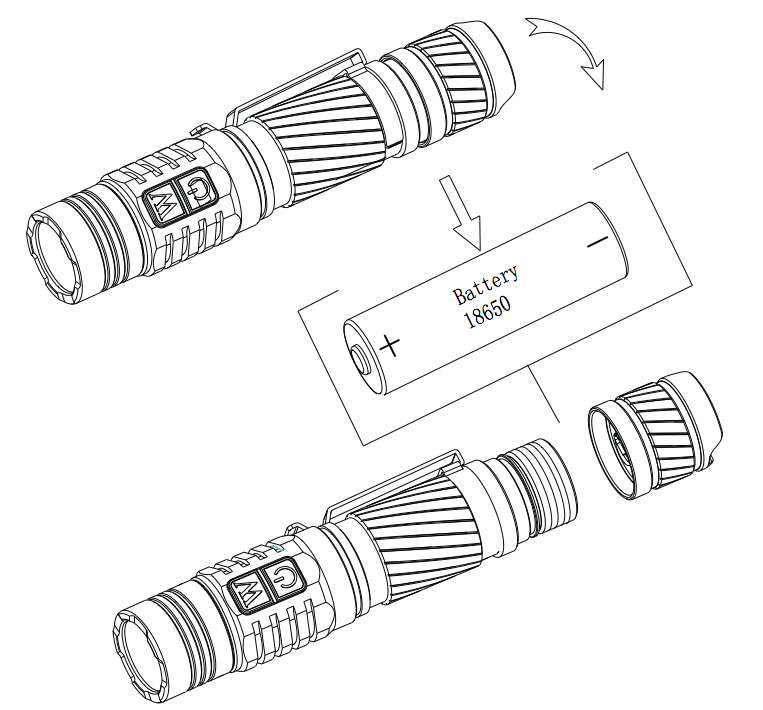 The product came in full OEM retail packaging (therefore it appears to be a production flashlight) and is equipped with 2 electronic side switches (no mechanical clicky switch at the tail), and a pocket clip. According to Wuben this product is not available on Amazon yet, a retail sale date is to be announced. 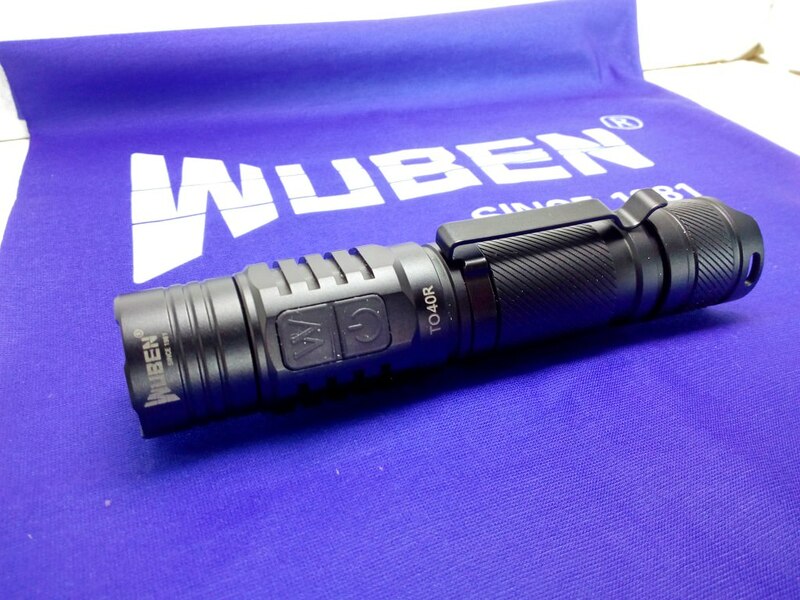 I would like to express my gratitude to Jelina from Wuben flashlight who helped me with logistics. 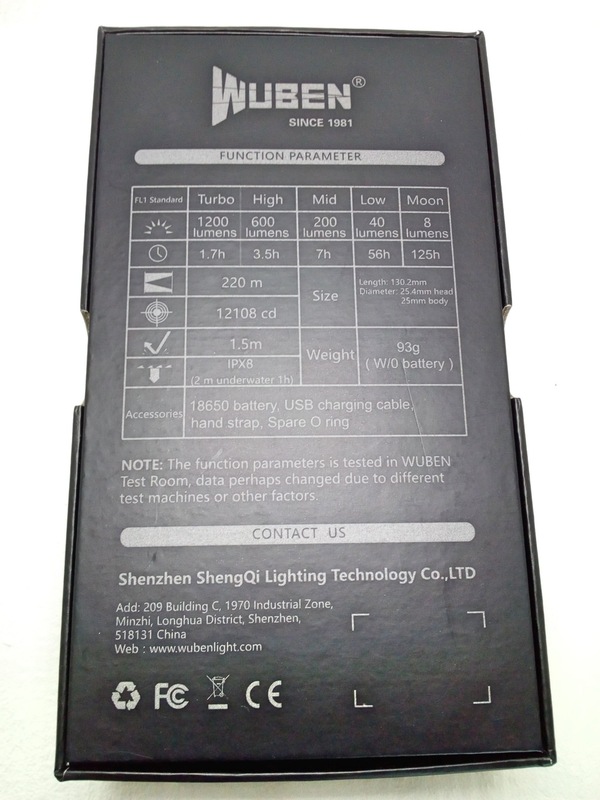 This is the first time I have been working with Wuben and I hope it will not be the last time! There is insignificant parasitic drain on the circuit when the flashlight is switched off and not physically locked out. It appears that this drain will not change when the electronic lockout is enabled. 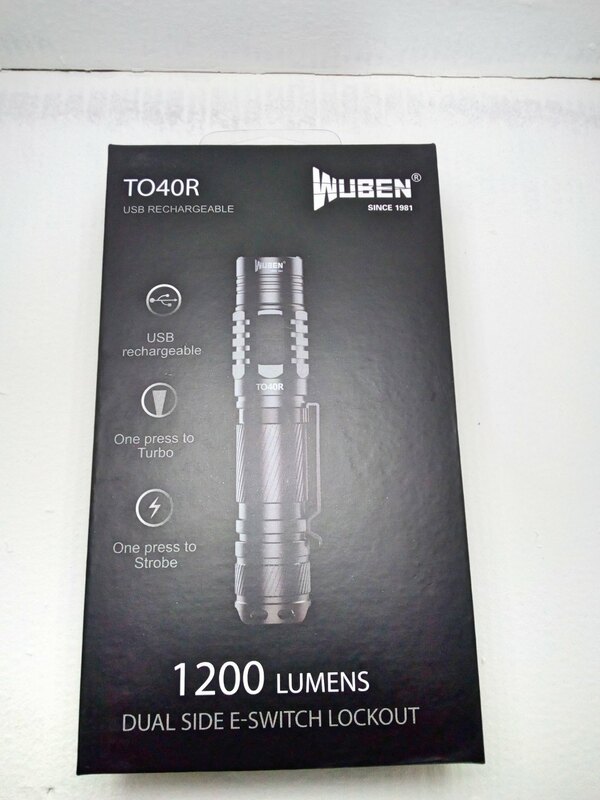 The TO40R comes in a high quality product packaging which looks more luxurious than a regular flashlight packaging. While unboxing you can tell that some nifty marketing manager put some serious effort into designing this box. 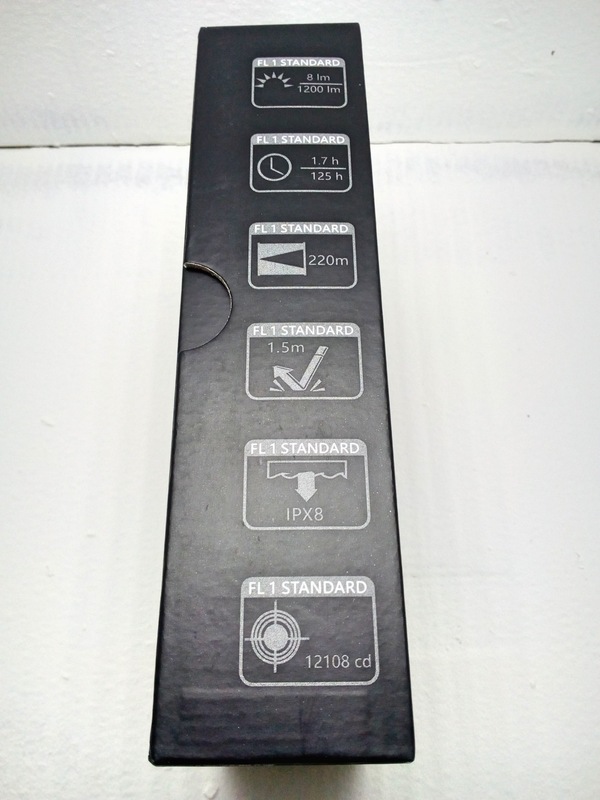 The black box has key product facts printed on the outside and invites the owner to open the box. 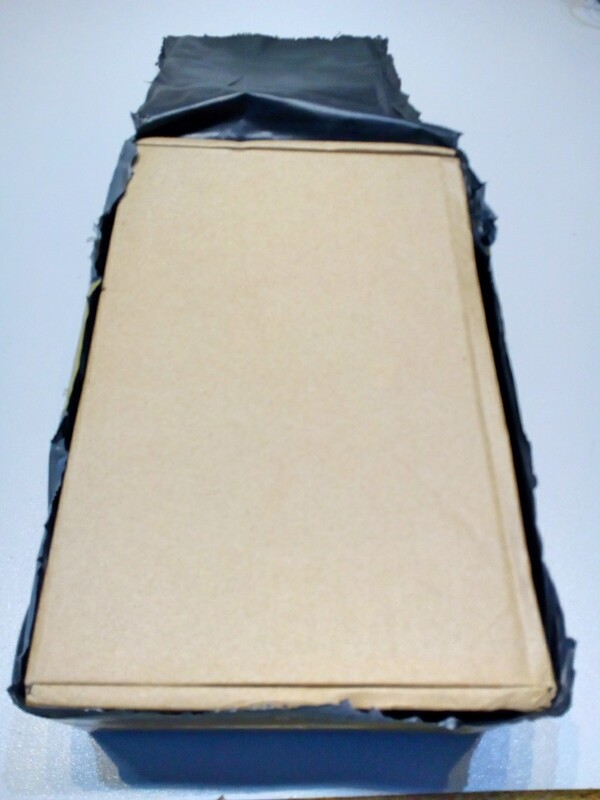 After sliding the top part off, the inside of the product box looks organized and conveys a certain haptic feel only higher quality prosumer products used to have. 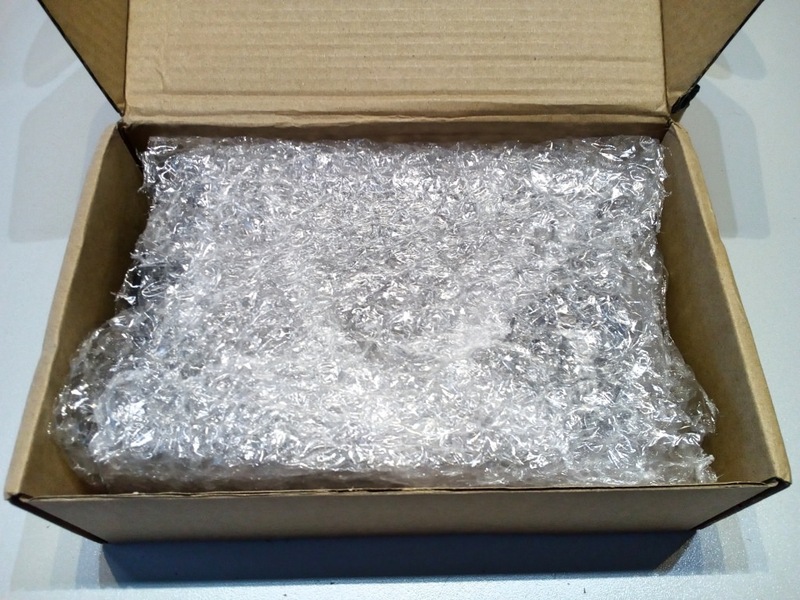 In fact, opening this box brings back memories when I opened my first Apple Macbook Pro packaging years ago. 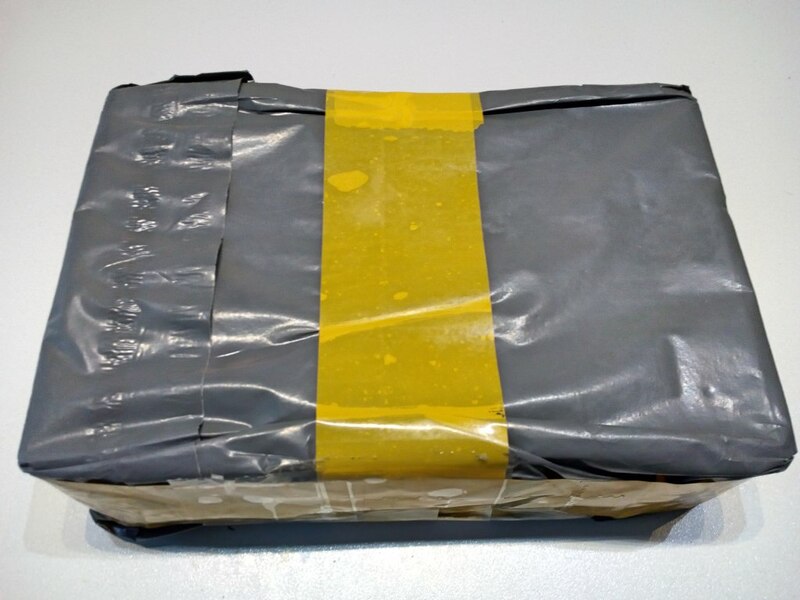 The product was safely cradled in enough packaging material that no harm was done while embarking on the long journey from Asia. 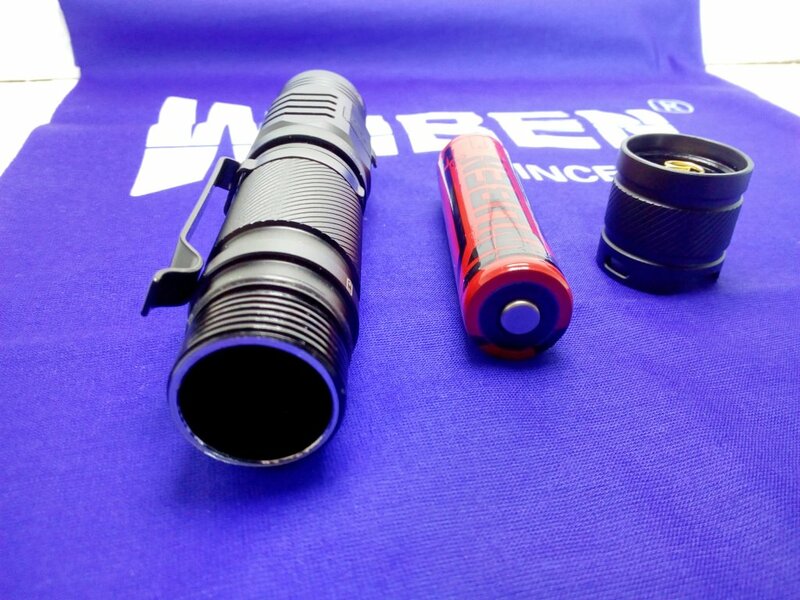 (Please note that the Wuben flashlight comes with a battery inside this flashlight host. 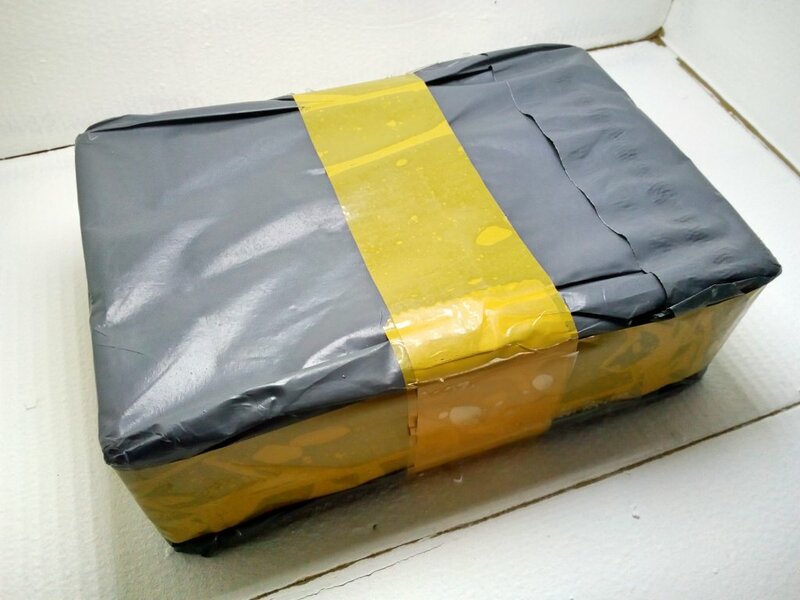 In order to avoid accidents, activation or discharching there is a small plastic disc on the negative battery side which has to be removed before using the product. This is a nice safety feature.). - One of the best USB port covers I have seen; when closing it pushes the air out and seals the port confidently. When opening the flap you can actually hear how air gets sucked back in. The light is operated with two electronic side switches. There is an indicator LED under the switch to indicate battery charging status, it does not operate as a breather LED to find the flashlight in a dark environment. Some people might prefer the opportunity to use a single e-switch instead of two (for ease of use), but I like the proposed 2 switch solution. As long as you can find the switches on the side, there don’t seem to be any other issues when using the flashlight. The switches are relatively flat and do not protrude in excess (the W switch protrudes a tiny bit more than the I/O switch). Since there is no indicator or “breather” LED when the light is switched off, it would be difficult to find the switches when wearing gloves in a dark environment; other than that specific scenario I don’t foresee problems in finding or using the switches. Electronic lockout feature: press and hold both side switches simultaneously for approximately 3 seconds and the light confirms with a brief light flash that the electronic lockout is enabled. The light remembers this lockout unless you physically lockout the device (if circuit breaks, the electronic lockout is “forgotten”). Therefore it is not possible (or required?) to lock out the flashlight both physically and electronically. Push “W” switch to change to the next mode (if switched off, flashlight remembers last used mode). While there are a multitude of opportunities with a dual electronic switch, I believe the proposed U/I is a practical switch implementation. With two electronic switches you no longer need double or triple clicks for special modes. I also like the fact that you can get to both strobe and turbo from either the ON or OFF state. There is no direct access to moon but – given the relatively high level of light output in moon – this might be a moot point. If you are in a dark environment and you forgot to memorize the last mode you have used (like we all do), you can either switch the light on and be surprised, or go straight into turbo or strobe mode. Personally, I would have preferred one direct access path to moon (instead of strobe) and one direct path to turbo but this might be my preference. Accidental activation of the flashlight could happen when carrying, but you can lock out the flashlight or open the tailcap to make sure this can not happen. - Loosen tailcap: Turn off completely, and lock out power. While switched on, a long press on the W switch enables permanent strobe. Another short click on the W switch disables strobe and the light goes back into the last mode it was in. So far so good. When the light is on, a long press on the I/O switch brings you straight to permanent turbo. Another short press DOES NOT bring you back to the last mode the light was in; the flashlight simply switches off. If you want to go back to the last mode used you have to click the other switch (W) and not the I/O button. I do not believe this is a problem at all as long as you know how to use the light. One aspect that is definitely missing is having the battery indicator or the main led flash if you are trying to turn the light on when it has been locked out electronically. For new users or a regular person it could otherwise be confusing as to why the light doesn’t switch on. The smooth reflector of this flashlight combined with the XPL2 results in a visible yellow corona around the tight hotspot. I believe this is normal with this emitter and is not in any way a “fault” with this light. The spill is very good and makes this flashlight a great all-round talent. I will take beamshots comparing the TO40R to other similarly sized XPL2 lights and upload them in the follow-up post in this thread. The integrated chargers pulls 0.96A from an Apple iPad 3 charger (12W charger) with a high quality USB cable. You can use the flashlight if the charger is connected, if you do switch on the flashlight while charging the amp draw increases to approximately 1.03A for the higher modes. On “moon” mode while charging the measurement showed approximately 0.98A. Moon mode is flickering when a cheap USB cable is used while charging. To avoid this please use the included cable or another, high quality USB cable. The termination voltage is at 3.18V 4.18V, this is excellent. 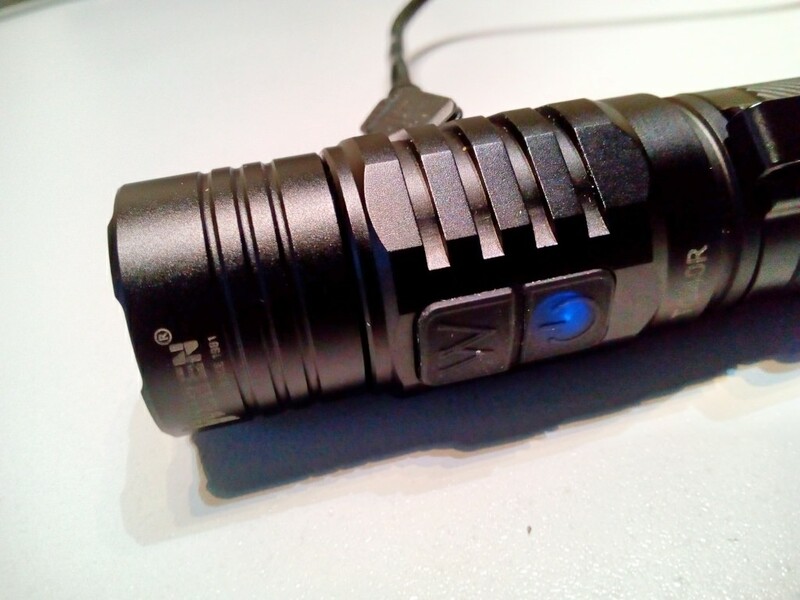 Like most newer flashlight there is a thermal regulation to protect the electronics, emitter and the user. All measurements were taken at room temperature (24°C) and at the hottest point of the flashlight head after approximately 5 minutes. I did not touch or handle the light while I was measuring and there was no airflow or air conditioning. These values are only approximate and not scientific. The device remains stable around this mark, so the thermal step-down appears to be around the 45°C-46°C mark. 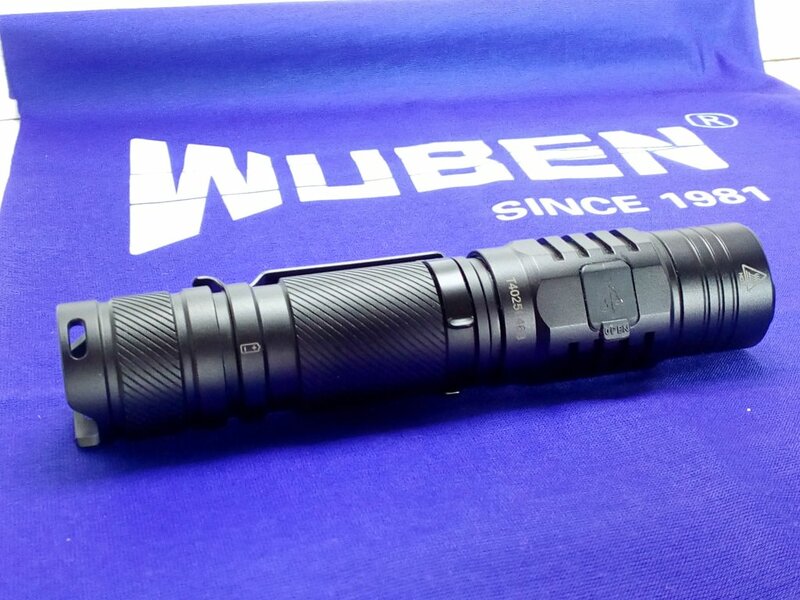 This is a very good value to aim for because the flashlight feels warm to the touch but not hot or dangerous. Apparently this step-down feature will also stop the process of heating up the flashlight any further. 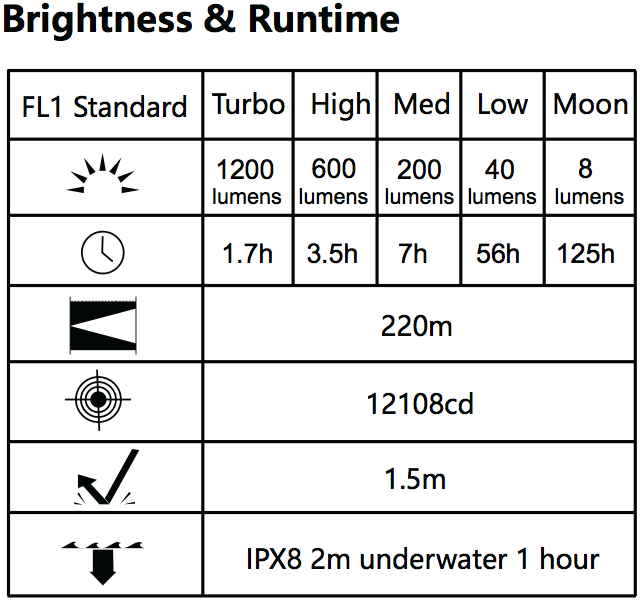 A long-term test (“putting the light into turbo for hours”) has not been carried out yet. 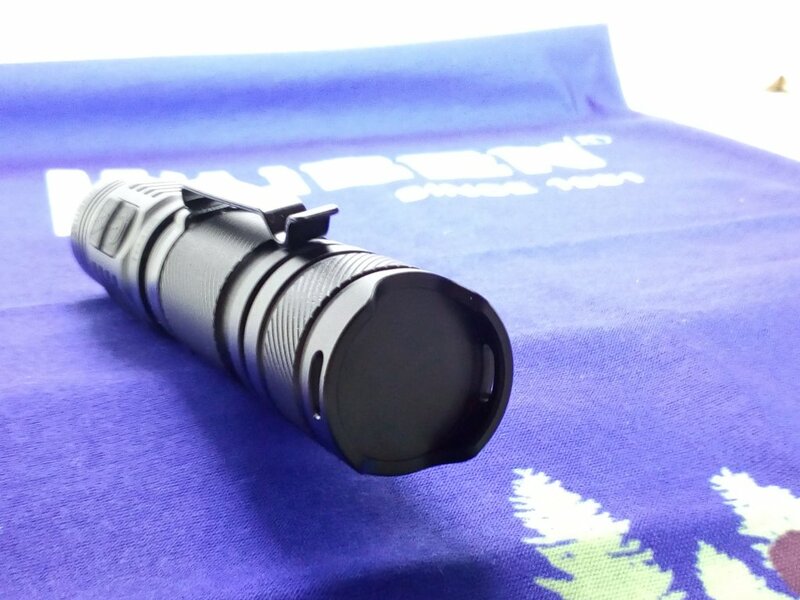 The integrated flashlight head design and thermal step-down leads to significantly lower temperatures of the flashlight body and tail compared to the head. 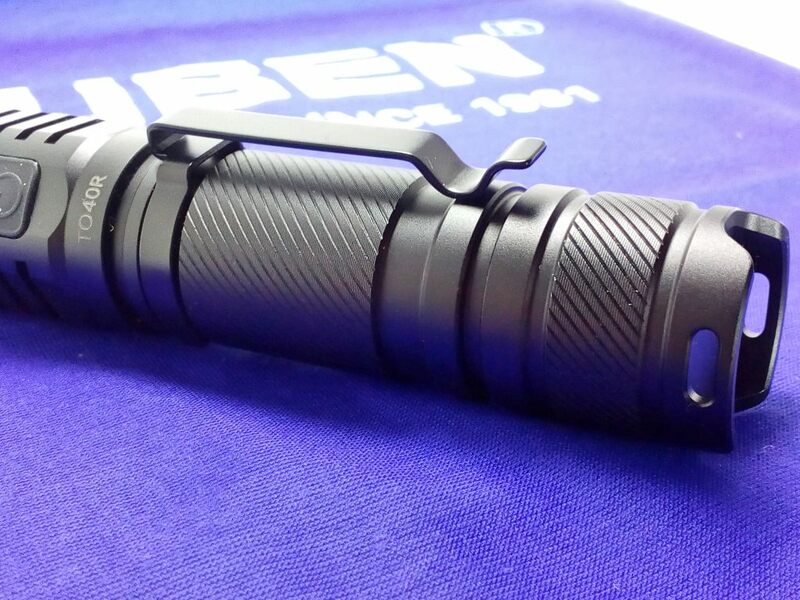 This part shall describe the ability for seasoned flashlight enthusiasts to open and modify the product. In the first instance, neither the front bezel (part of the overall head) nor the entire head could be separated from the flashlight. Yes, you read that right – I wasn’t able to remove the entire head from the battery tube. Without tools only the tail cap can be unscrewed and detaches. I do not know whether I need different tools or the flashlight is actually glued together. Either way I will follow up on this. Even though this light comes with an integrated charger and USB port, this manufacturing process might boost confidence for the IPX8 rating. 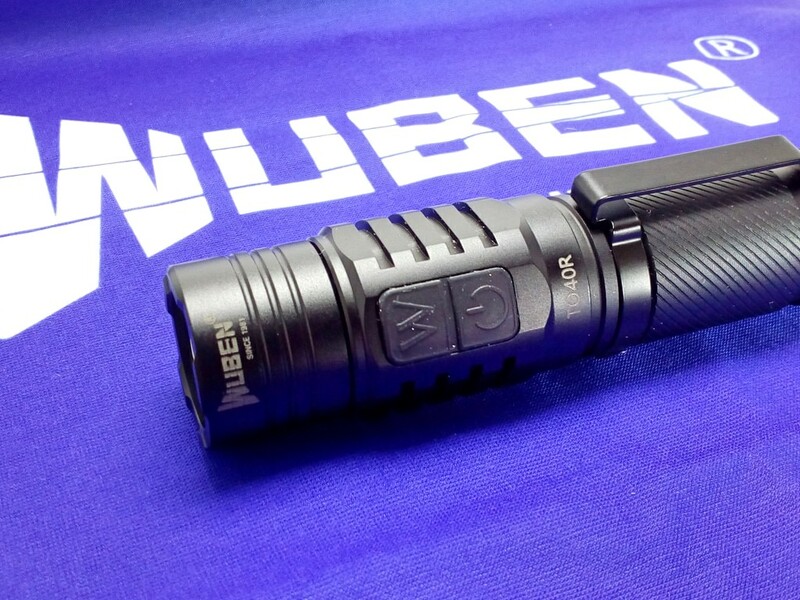 The Wuben TO40R is a great everyday flashlight with exceptional build quality and craftsmanship. 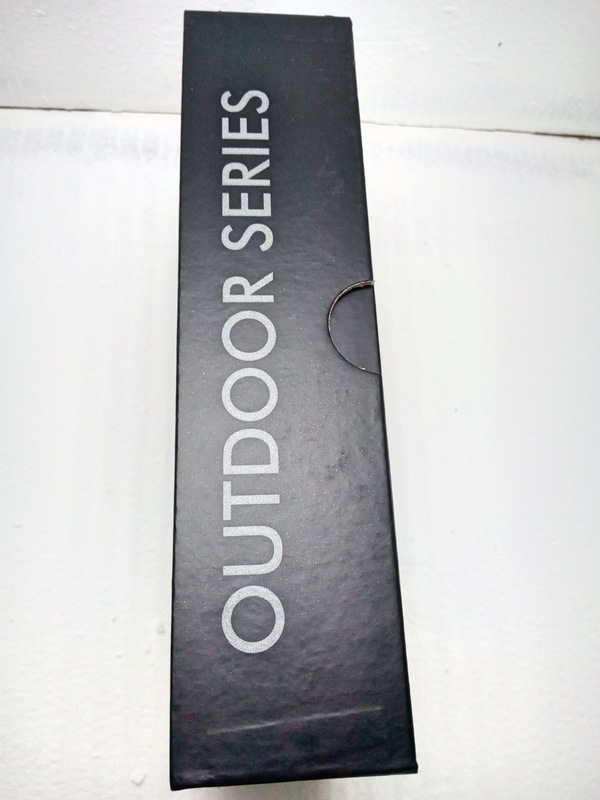 The light has a sturdy clip, a great U/I and will be a trusted partner for almost any outdoor, professional or leisure activity. 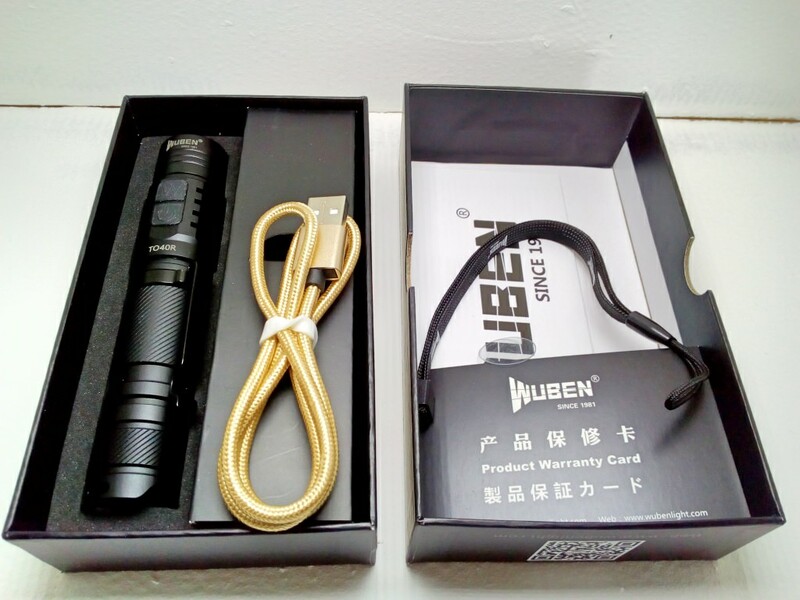 Since this is the first Wuben flashlight I ever laid my hands on, I must say I am impressed with the packaging, accessories, overall quality and ease of use. They flashlight is an excellent performer with great feeling of quality. The TO40R also goes into the right direction with their latest electronic switch UI. There are no weird double or triple clicking exercises required for any features and the driver has features I didn’t expect and I like the two switch U/I. Since there are no glaring technical issues, this product is ready to go to market. - LED under I/O switch does not work as a “breather” LED which could be handy if flashlight is displaced in a dark environment. This is not a “must-have” but a nice feature. - Beamshots will follow when I get home at night. - I apologize that my light box is not up to standards at the moment, I am working on a new variant and I might replace the pictures. - Please post any questions you may have, I am more than happy to go into details or answer any inquiry if I can. MicroUSB when Wuben had previously been offering USB-C lights? That’s… backwards. Charging terminates at 3.18V, surely you meant 4.18, right? Yes, thanks for catching this one and apologies for the confusion. I meant 4.18, measured with a DMM right after charging finished. Thanks for the review. does anybody know where/when I can buy this light? Thanks! This product is not available yet, according to Wuben. 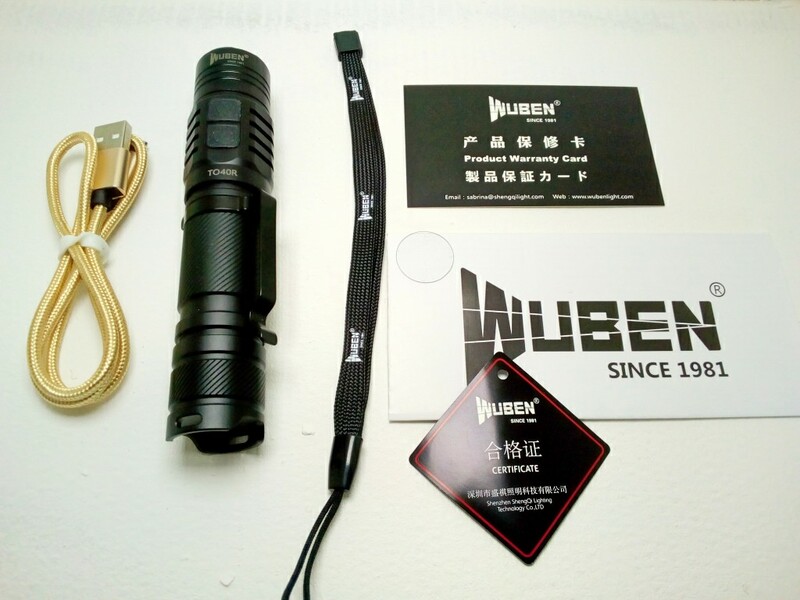 You can contact Wuben here on BLF or on Facebook, I believe they will sell them on Amazon going forward – but don’t take my word for it, feel free to contact Wuben to understand their distribution strategy on this one. wow, very sleek looking light. any chance you can heat up the head and open it? wow, very sleek looking light. any chance you can heat up the head and open it? thank you for the detailed review. Is this light available yet? looks pretty cool. thanks for the review. What is the color temperature of this led ??? I could not find this anywhere. I just like this light! 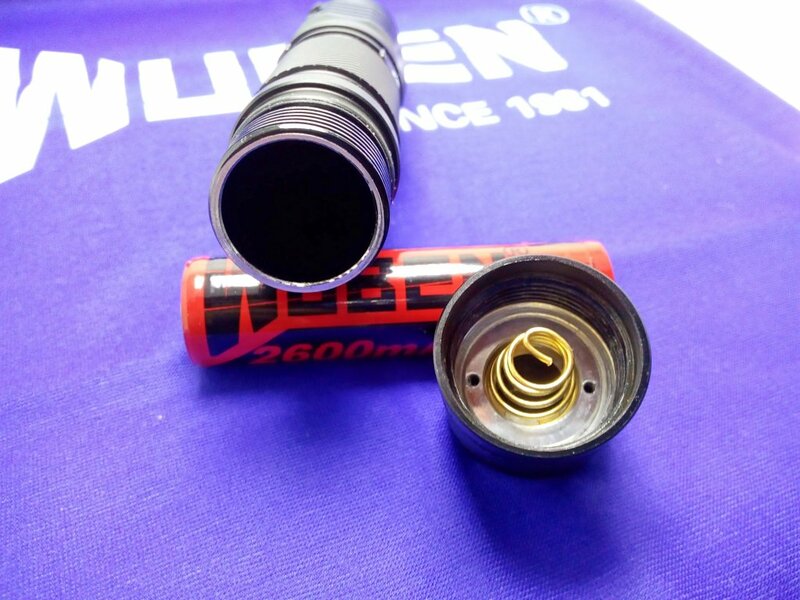 Has anyone succeeded to unscrew the head?